Facebook has relocated its Massachusetts office and plans to hire hundreds of more employees in the city where the company first started. Facebook has relocated its Massachusetts office and plans to expand in the city where the company first started. The social media giant showed off its new office on Binney Street in Cambridge's Kendall Square Wednesday. Facebook officials said they outgrew their previous office in nearby Boston. "When we opened the office down the street five years ago, there was only seven of us," explained Facebook Boston founder Ryan Mack. 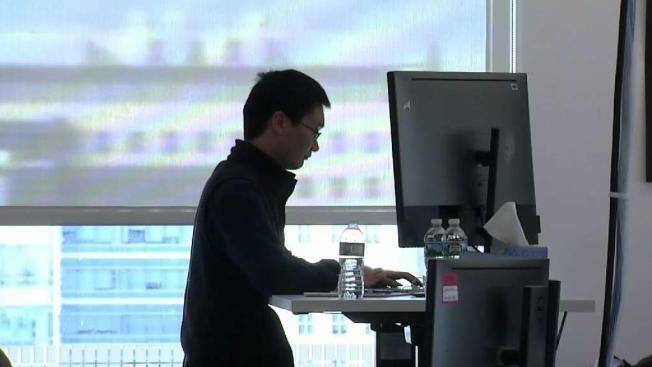 With three floors of space, the company plans to hire several hundred more people in addition to the 200 or so who currently work at the Kendall Square location. "There's products being built here that are used by over 2 billion people and that's always really exciting," Laney Zamora, Facebook Boston site lead, said. Company officials said they hope to attract employees from the area. "The teams here that work on location-based products own 'find Wi-Fi,' they own 'nearby friends,' explained Mack. "Those are products we do our developing here. We have engineers, we have product management and recruiting as well." State leaders say they are looking forward to that investment in Massachusetts. "Please hire more people and graduates from Massachusetts and again ... keep them here," said Damon Cox, assistant secretary of Massachusetts' technology, innovation and entrepreneurship office. Facebook is promising to continue partnerships with local community colleges and the Museum of Science to promote digital and STEM learning. "(Facebook) is an authentic partnership that supports both of our mission(s) to give the power to the people to create a community," said Annette Sawyer, vice president of education at the Museum of Science.